Buying clothing is one of the most popular options when selecting a birthday or holiday gift for a loved one, especially since is there plenty of variety available. 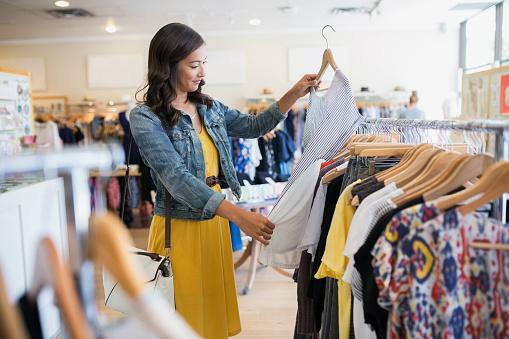 It can be tricky to choose the right item, but with a few tips and a little thought, you can be sure that your purchase will be put to good use, and the recipient will wear it over and over again. When deciding how to choose the right clothing gift, you must first assess what you're working with. Make sure you take the time to suss out what your loved one already wears on a day-to-day basis. Does he or she live in 70s-style denim or like to mix it up with looks from different eras? Does the person prefer casual wear or does your friend like to dress up when you go out for drinks? Does the gift recipient choose fitted clothing pieces over baggy, oversized jackets? Chances are, there'll be a pattern to the kinds of pieces that the person you intend to give the gift to wears on a regular basis - and this is known as his or her personal fashion style. If you learn it inside out, you are more likely to find a clothing gift that he or she will love. Analyzing your loved one's fashion style goes hand-in-hand with working out what colors, prints and fabrics the person likes to wear. For instance, do you constantly see the individual in florals or does the person like plain-looking clothing? You should also consider what colors work with the individual's skin complexion and hair color. Neutrals and light colors will wash out an already pale complexion even further, and it's not a good idea to put a red-haired person in a red sweater. Furthermore, fussy, over-complicated fabrics wouldn't be flattering on a curvier woman, just like a fitted leather jacket looks too youthful on a middle-aged man. It's all about getting the balance right, as well as choosing pieces in the right colors, prints, and fabrics that will suit the recipient. Now that you've analyzed your loved one's fashion style and thought about colors, prints, and fabrics that will suit the recipient personally, you should have more of an idea of the types of clothing that she or he likes to wear. However, perhaps the individual is not looking for clothing to like - perhaps he or she would appreciate clothing that is a need much more. For instance, is a favorite pair of jeans getting old? Or did the intended recipient recently lose her cashmere cardigan during a night on the town and is upset about it? Sometimes it's better to buy your loved one a clothing gift that she or he needs, rather than something you think the person simply wants. Once you've considered the above factors, you also need to make sure you are shopping for the individual's body shape. For women, take a moment to really look at your loved one and decide whether her shape could best be classified as a pear, hourglass, straight, or apple shape. If she is a pear, hourglass or apple, then she is likely to be curvier, so make sure you buy clothes that deflect attention away from any unflattering areas, and instead define the waist. With straight body types, the trick is to add curves through exaggerated shirts and bottoms. 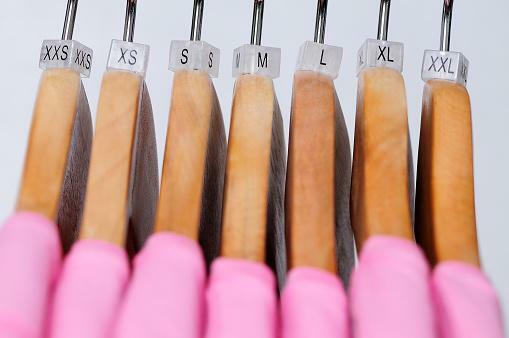 Have you thought about quantity when it comes to your loved one's clothing gift? Your budget limitations will ultimately affect whether you decide to buy just the one key, hero piece or kit your loved one out in a full-blown outfit. 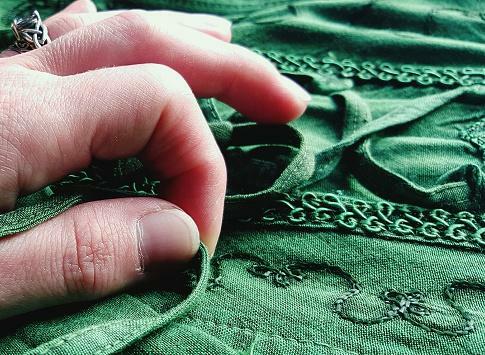 If you've decided on a piece that's higher in quality from a designer, such as a silk shirt, the expense of this will probably mean that you give your loved one this piece and this piece only. 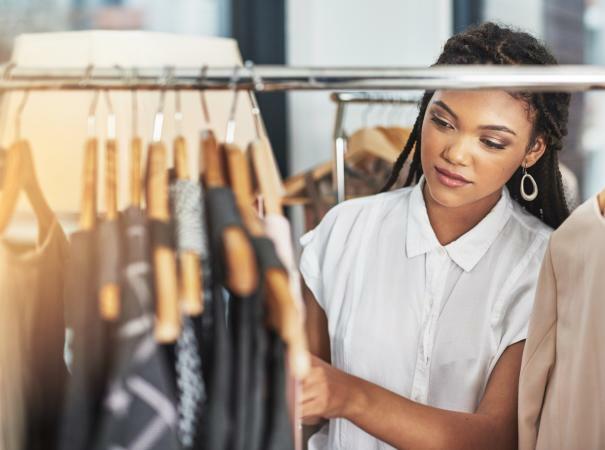 However, if you've decided to buy from your local department store, it's likely that you will be able to find multiple clothing gifts for your lucky recipient. The final thing to do is to make sure you buy the clothing piece(s) in the correct size. This saves the person the hassle of having to return the gift, or exchange it for the true size. The easiest way to ensure that you buy the right size is to subtly ask the person in conversation, without making it obvious it's for a gift. Alternatively, you could ask another friend or family member who might know this information. Or, if you're around his or her house and the person is distracted, you could have a little snoop in the closet. Just make sure that you don't get caught! There a few instances where it's perhaps not the best idea to purchase clothing as a gift. If the recipient is trying to lose weight, for example, it might mean that he or she would wear your gift once and then it's far too big to wear again. Similarly, if the intended recipient is female and pregnant, she won't be able to make the most out of your gift until she's had her baby! Maybe the person has already told you that he or she doesn't appreciate clothing as a gift, or would prefer something more sentimental. In all of these cases, it's best to forget clothing and figure something else out for the person's gift. You don't want to gift something that he or she clearly doesn't want, and it's a waste of both your time and money. It might seem overwhelming at first, but buying someone clothing as a gift is very straight-forward when you know how. It's a chance to have fun, be creative, and find a useful and meaningful gift. Fashion lovers, in particular, often find that they love to purchase clothing gifts on the behalf of others. Once you've done it once, you're sure to do it again, as the feeling you get when your loved one opens his or her gift and is ecstatic with the clothing piece(s) you've picked out is priceless.